How Much Compensation Can I Claim for a Nursery or School Accident? Nobody wants to think about their child being injured at nursery. We send our offspring to nursery to be taken care of, and if the child had an accident at nursery, then it is not fulfilling its vital function of keeping the child safe. 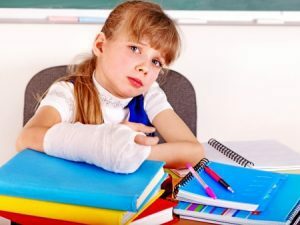 It might be an older child who has an accident if your young child suffered a broken arm at school compensation might be available. Indeed, with a child injured at school compensation is almost always claimable if the accident can be proven to be the fault of the school or nursery management. In this guide, we are going to take a detailed look at what to do if your child has suffered an accident and injury whilst at nursery. We will explain what needs to be done prior to making a compensation claim. We will also walk you through the process of starting a claim. We will also present some typical amounts that have historically been paid to parents as damages for an accident that their child suffered at nursery. A guide to compensation nursery or school compensation claims. 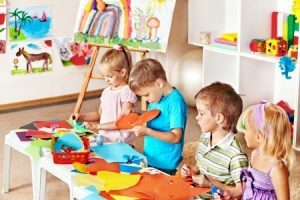 What can I claim if there has been an accident at my child’s nursery or school? No win no fee nursery and school compensation claims. Who is responsible for accidents at a nursery? For what reason can I claim compensation against a nursery or school? Can I claim for a nursery or school accident that happened a while ago? What to do if you need to claim compensation against a nursery or school. Before you make a nursery or school compensation claim. Compensation claim amounts for nursery or school incidents. If your child has suffered an injury whilst at nursery, you need to know what to do about claiming compensation for the injury. In many cases, it may be a clear case of negligence on the part of either the nursery staff or the company or government body that manages the nursery. Regardless of how the accident happens, you need to know that there is help at hand, to assist you in firstly deciding whether it is possible to make a claim for compensation, and secondly how to go about actioning that claim. Making a successful claim against a nursery if your child has been injured is a complex and drawn out process in most cases. This guide is intended as a primer for parents who feel they may have a valid reason to claim for damages against a nursery following an accident. This is a very tough question to answer. The reason for this is that firstly you may be claiming for the child, and secondly, as the parent, you also may have a valid reason to claim compensation for yourself. Below is an explanation of some of the forms of compensation and damages that may be paid following a nursery accident. General damages to the child – in this case, we are talking about the physical injury itself. The pain and suffering caused by the injury. And in severe cases, where the child has long-term psychological trauma as a result of the accident, this will be covered in general damages as well. Special damages to the child – this is a less common form of compensation paid to a child as a result of an accident in a nursery. It covers any financial hardship suffered by the child, which is obviously not common. However, in some cases, it is a valid reason to claim compensation. For example, if the child is a young actor and is forced to miss an acting job due to the accident resulting in financial loss. Special damages to the guardian – this is a much more common type of special damages in a nursery accident case. It covers financial hardship suffered by the parent or guardian. For example, if they have lost earning due to having to take time away from work to take care of the child following the accident. And in the case of a serious accident meaning the guardian must give up; work to care for the child long-term, the loss of future earnings would also fit into this category of damages. Travel expenses – this relates directly to any travel expenses that occurred as a result of the accident. This could be immediate expenses such as having to take a taxi to the hospital to be with the child as quickly as possible after an accident. It can also cover ongoing travel expenses, such as having to visit a hospital regularly for outpatient treatment. Medical expenses – any costs that were accrued due to having to have the injury treated, and also the long-term treatment of injury related issues. We can also include psychiatric care and trauma counselling in this category if they are being paid for privately. Psychological trauma – this is a pretty broad category. Generally speaking, psychological trauma will be covered in general damages. However, in some cases where a child is expected to face long-term life-changing psychological problems as a result of the accident, the law has made special provision for taking this into consideration when calculating any compensation that is to be awarded. These are the most common types of damages that are sought by a parent or guardian following a nursery accident. There are others, and you will need the advice of a qualified legal expert to discover if any more types of damages can be claimed in your particular nursery accident case. The last thing we want to worry about if our child has been injured in an accident at nursery or school is having to find the finances to pursue a compensation claim for damages. Many parents believe that in lacking these level of financial resources, they have no way to actually sue for the compensation they may rightly be entitled too. We have another option for parents in this position. We can offer to take on a nursery accident compensation case on a No Win No Fee basis. This kind of agreement means that you have nothing to pay right now. And indeed, you don’t pay anything unless we win your case for you. If we do win the case, then we simply deduct our total fee for the amount of damages you are awarded. Legally we are capped at charging a maximum of 25% of the overall damages that parents are awarded for an accident in a nursery involving their child. Who is Responsible for Accidents at a Nursery or School? If your child is injured at school or whilst they are attending nursery, it is likely somebody is responsible, and where there is responsibility there is also a liability, meaning they may be liable to pay damages and compensation for the accident. Even if the accident was clearly the child’s fault, then somebody should have been ensuring the child could not get into the kind of trouble that caused the accident in the first place. Schools and nurseries have a duty keeping children safe in education and to prevent accidents. So we are almost always talking negligence of some kind in a nursery accident compensation claim. Either negligence by the management of the nursery for failing to provide adequate safety for the child. Or negligence on the part of the nursery staff, for not undertaking their duties correctly. The issue gets a little grey of your child injured at school by another child. UK protects minors from legal action. However, once again, there is a likelihood that the nursery itself was to blame in some way. Inadequate environmental safety provisioning – here we are talking about nursery accidents that were clearly caused by an unsafe nursery environment. Examples of this would include; old, damaged and unsafe play equipment. Sharp and dangerous edges left exposed on equipment. And also, general safety concerns such as access to the street and road being available to unsupervised children. Inadequate staffing or under trained care staff – every nursery is regulated legally to provide a minimum number of staff for the number of children in attendance. Furthermore, the nursery is also regulated to ensure that properly trained senior staff are always on site at all times to support junior employees. If inadequate staffing levels led to the accident, this is a valid reason to claim. Negligence on the part of the staff – if employees failed to carry out their duties to an adequate level of competence, thus exposing the child to the risk of an accident, then this is also a reason to claim damages. Almost every claim for compensation following a nursery accident will be fundamentally driven by one of these three core areas of responsibility. Almost every accident that occurs at a nursery, will have been caused by one or more of these reasons. With regard to standard personal injury claims for adults, the time limit for pressing a damages claim is set at three years. However, for children, there is a little leeway in this timescale. Simply because it may take some time for the reason for the accident to come to light, and for the parent to comprehend the seriousness of the event. For a child case they have up to the age of 21 to claim the compensation. Three years after they are aged 18. However a claim has more chance of being sucessful the sooner you file the claim from when the accident happened. For example, if a minor accident at nursery results in complications such as impaired health or psychological issues several years down the line, the seriousness of the accident has grown. And therefore, it may now be a valid case for compensation. However, typically three years is the limit, only in special cases will the law allow older accident claims to be pursued. When a child is injured, the trauma of the event can often affect the parent or guardian as well. Few things are as traumatic in life as seeing one of our children seriously injured. Therefore, it is vital that at this critical time, even though you may be suffering from the shock and anguish of having a child with a severe injury, that you take proper expert legal advice. Don’t worry, as most legal firms understand that parents are going through a tough time, caring for an injured child and that they really do not need the added problem of starting a compensation claim against the nursery. Therefore, they tend to make the process as simple as possible. So the first thing to do if your child has suffered an accident at nursery is to reach out to such a legal firm for advice. If your child has suffered an accident at school, how to report it is a primary concern. However, before you make a compensation claim, it must be reported to the school. Unfortunately, many parents panic and overreact when their child is injured at a nursery. Children themselves often don’t see the facts as clearly as adults, and this is especially true of very young children. So when we combine the anxiety of the parent, with the lack of understanding of events of the young child, we have a recipe for error in the making. Where you alone when the accident happened? Who was supposed to be taking care of you and where were they? Were any other children with you when the accident happened? Did anyone tell you to stop doing what you were doing before the accident happened? As we can see, these types of questions are the best way to start to get to the bottom of events that caused the accident. Keep questions simple for young children, so that they do not have to give complex answers. Once you have a clear view of what happened, and about the events leading up to the accident, it is time to start thinking about a compensation claim against the nursery. If your child has been involved in an accident at a nursery, then the first legal step you need to take is to contact a qualified law firm to represent you and make your case. Without expert legal advice and guidance, it is impossible to press a damages claim effectively. You need a firm of solicitors to set you on the right track, and take care of the entire claim for you. If you choose us, we will always start every compensation claim case with a completely free of charge consultancy session. We use this session to get to the bottom of events leading up to the accident, and how it occurred. We then use the facts we have learned to offer you advice on what to do next. In almost every case, this means we will represent you under a conditional fee agreement. If we don’t win compensation for you, then you don’t pay a thing. If we do win, we take our fee from the damages you are awarded. We will only ever take as much as 25% of all money awarded to you as our fee, meaning you get to keep the remaining 75% and you have not had to pay any money up front. When there is an accident at school who pays? And how much compensation will a nursery pay? These are common questions, yet the answer will always depend exactly on the individual circumstances of each accident, and the damages that are being claimed. Below are some example amounts of general damages that are typically paid in this kind of case. The table above does not include special damages, as these will always vary from case to case. It does also not reflect upon psychological problems caused by the accident at the nursery. These are much harder to quantify, and the damages claimed can vary greatly because of this. Expert medical opinion is needed to discern if any damages should be claimed due to the long-term health and psychological problems caused by the accident, and we can help arrange this expert testimony as part of the compensation claim process. We have proven track record in helping parents sue a nursery or school for damages following an accident involving their child. We approach these kinds of cases with care, we understand this is a traumatic time not just for the child, but also for the parents or guardian. We pride ourselves in offering a simple to use service, with a great success rate in claiming compensation following a nursery accident. We back this up by offering most of our clients the option to work under a No Win No Fee kind of arrangement. Don’t pay anything now, we simply take up to 25% of the damages awarded as our fee if we win your case. If we don’t win it, then you never have to pay us a thing. Put simply, we make suing a nursery or school for damages following an accident involving a child both painless and costless. What could be easier? Instant legal advice, and no upfront payment for legal representations. Has your child recently been involved in an accident whilst at nursery or at school? Regardless of whether the child believes it was their fault or not, somebody was responsible for ensuring they were kept safe at all times. This means that somebody was to blame for the accident happening, even if it was your child that caused it, as they should have been supervised more closely. Therefore, you have a very valid reason to make a compensation claim against the nursery or school. So you really must contact us right now. We will arrange an initial free session where we will gather the facts of the accident, and then we will offer you our best advice on how to press the matter. In almost every case this means us representing you under a No Win No Fee type of arrangement. Nothing to pay now, and you only pay our fees if we win damages on your behalf. So what have you got to lose? Contact us today to discover whether we can help you claim compensation for an accident that your child suffered whilst attending school or being looked after at a nursery.